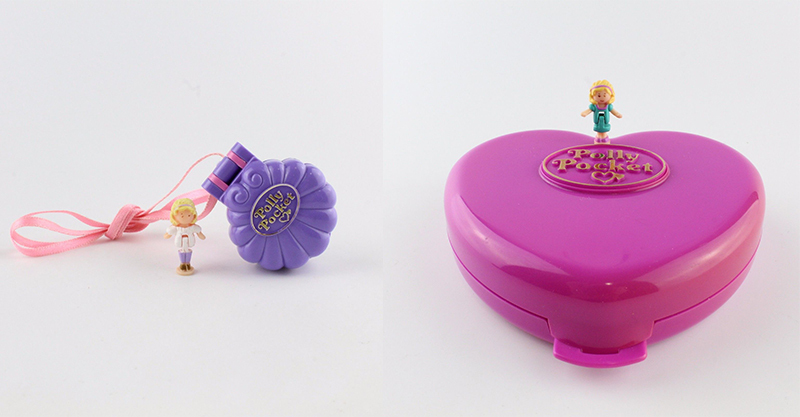 Remember we told you recently how valuable and collectable original Polly Pockets are? Well it seems that Mattel have pricked up their ears and are set to relaunch Polly later this year. It’s big news for lovers of this very little toy. BuzzFeed put us onto this news, reporting that a refreshed and all new selection of Polly Pocket toys will be on sale from June of 2018. A company called Bluebird Toys made the first ever Polly Pockets between 1989 and 1998, much to the delight of 90’s kids. Mammoth toy company Mattel took over after that and kept making these beloved toys, albeit changing the size and configuration of our favourite tiny doll by removing Polly’s signature “hinged” waist which allowed her to be folded into tight spots. Gasp! It’s the Bluebird Toys version of Polly Pocket that are bringing in big bucks on eBay and other trading sites at the moment. This apparently isn’t the first Polly Pocket reboot from the folks at Mattel. They relaunched her back in 2010, but then appear to have stopped making the toys altogether some time around 2015. After huge publicity surrounding just how sought-after Polly Pockets are, perhaps Mattel have come to their senses, giving the classic 90s play-set yet another turn around the playroom. Polly’s back. Tell a friend. BuzzFeed reports that a whole bunch of Polly compacts and sets are on the cards, but it does look like their push to redesign Ms Pocket continues. She looks very little like the Polly of 1994, but some dolls are shown sitting down, so perhaps they have allowed her to bend in half again?! We live in hope! For parents who are OG Polly Pocket fans, this reboot could be the perfect teeny gateway doll for their own children. Perhaps they can move on to the pricier and more naive “antique” Polly Pockets once they show a true appreciation for this tiny toy. We look forward to hearing much more from Mattel about the new Polly.